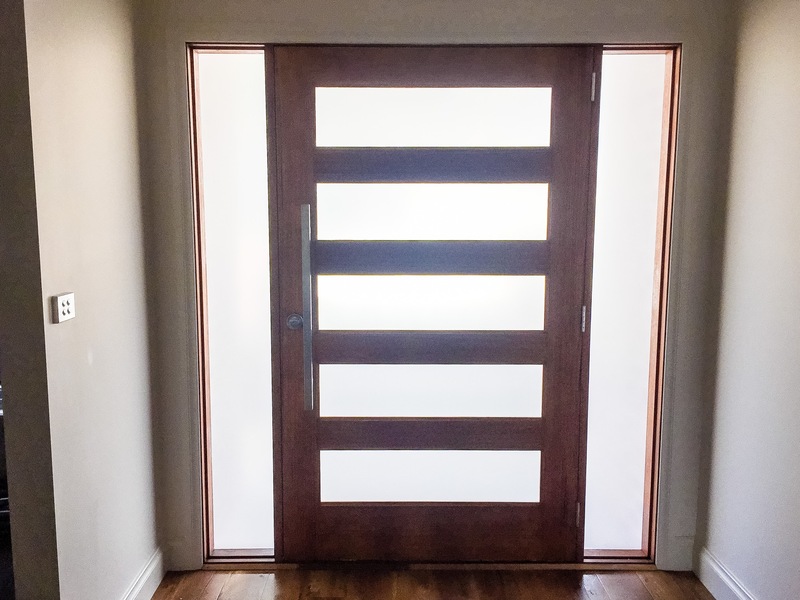 A Much Cheaper Alternative to Frosted Glazing or Sand-blasted Glass! For information on Tinting films, please see our Tinting Films pages. Window frosting films are available in matte white, grey and bronze, as well as a silver frosting that stops 80% of heat as well. 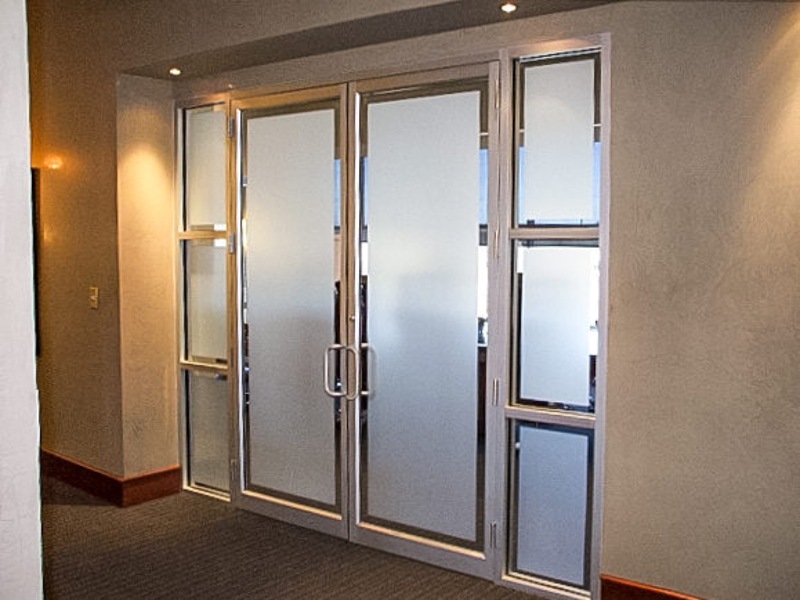 For business applications, frosted films are helpful to add privacy to meeting rooms or offices partitions, such as along passageways. 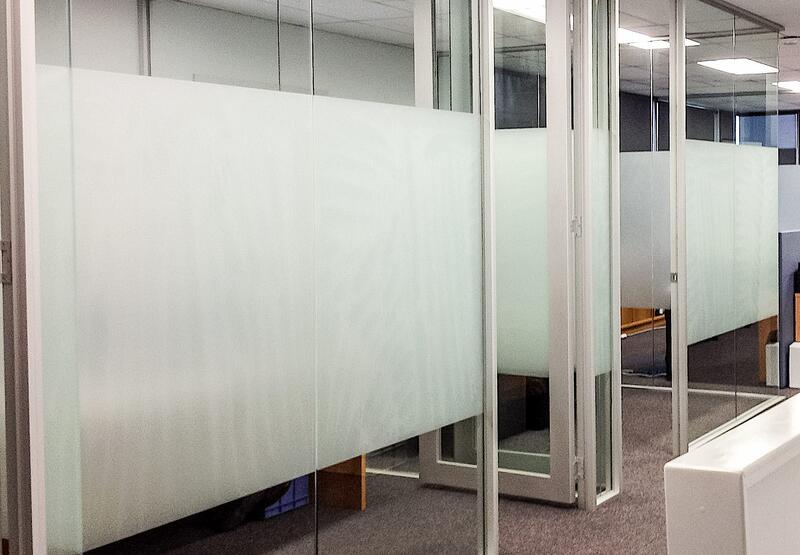 Frosted films are also ideal around waiting room areas, with frosting providing privacy to reception and internal staff away from the public. They can used to improve office aesthetics, by hiding computer cables and the backs of desks. Save money on frosted glazing by adding cost-effective frosted films instead! We have options for plain matte films, as well as decorative frosted films with textures and patterns, such as stripes. We are even capable of cutting out your business logo or branding into the frosting films, to boost your branding and give a strong professional look that is still removable at the end of a lease. 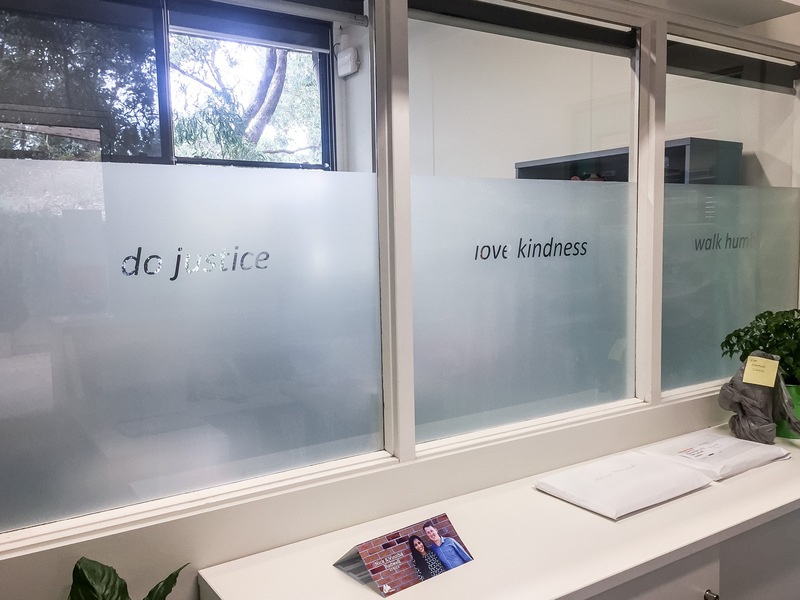 Good examples of window frosting can be seen at the reception areas of both nillumbik and whittlesea council offices. 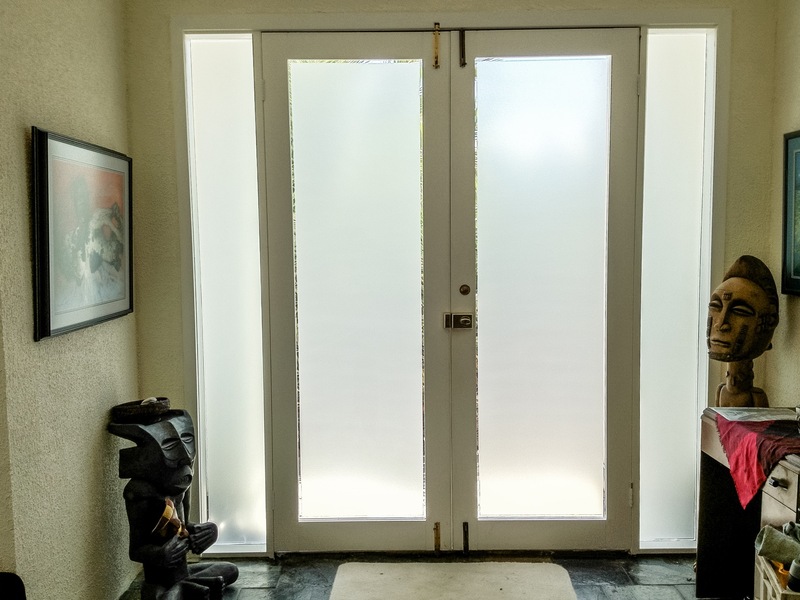 For home applications, frosted films are ideal for decorative home entrance-way doors and windows for offering privacy from visitors. 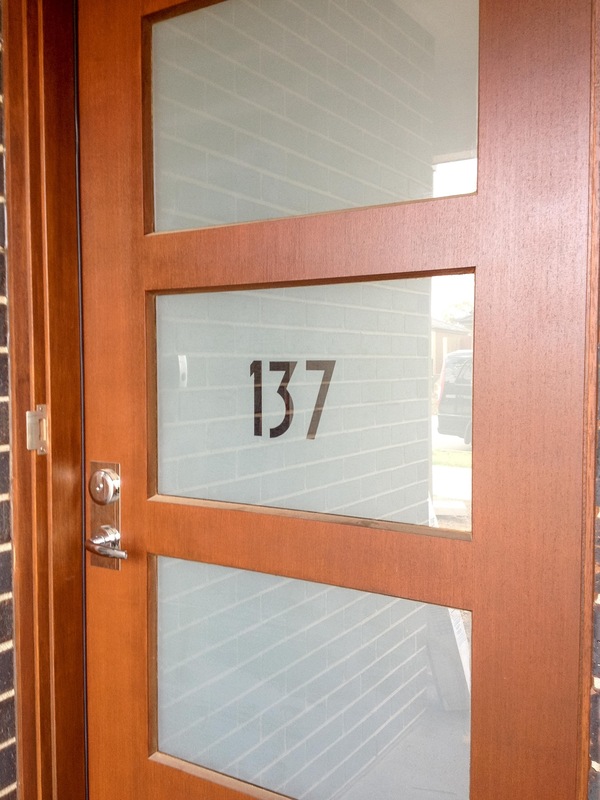 We can even cut out custom front door numbers or emblems to add a prestige look. 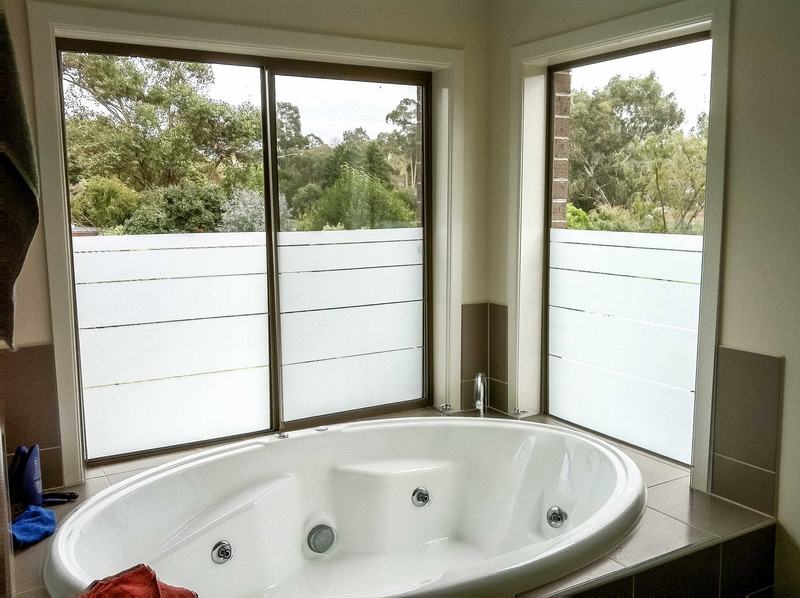 Frosted films are also great to add to bathroom and toilet windows, to add privacy on external windows.